Merrow ActiveSeam enters the Indian and Bangladeshi markets for athletic and technical apparel - Merrow Sewing Machine Co.
What does a 176 year old sewing machine manufacturer based in the US do when faced with competition from a Chinese sewing machine industry that is getting bigger by the day? For some the answer may be to cut prices or shut shop, but not for the Merrow Sewing Machine Company. Realising that there is only one survival mantra – innovate or exit – Merrow took the challenge and is today the proud patent owner of perhaps one of the most revolutionary inventions in the stitching domain in the last decade, ActiveSeam®. Charlie Merrow, CEO of the company who spearheaded the innovation, shares with StitchWorld the story behind the company’s latest innovation, which is set to redeﬁne Merrow’s standing as a pioneer in the sewing and apparel industries. Before the advent of ActiveSeam® in 2012,176year-old Merrow had already earned a name for itself worldwide with its range of sewing machines for knitwear, woven, home textiles,non-woven, military clothing, babywear and lingerie. 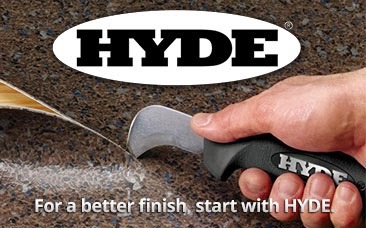 The company has a presence in more than 60 countries through its global network of agents and dealers. …and thin at the same time.” The rest as they say is history. Sewn by the MB-4DFO ﬂat overlock serging machine from Merrow, ActiveSeam® has been inspired from a butted seam but imbued with the strength and aesthetic advantages of interlock, ﬂatlock and overlock seams. 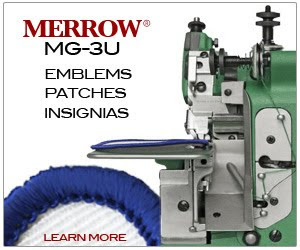 TheMB-4DFO is a two or three thread premier industrial serger that sews three versions of the Merrow ActiveSeam®. The two thread version of the seam is called ActiveSeam® Comfort and the three thread version of the seam is called ActiveSeam® Infused. The seam has been patented by Merrow and hence only possible on the machines manufactured by the company. The ‘Comfort’ version of ActiveSeam® is 5/32 inch wide and suitable for medium weight performance ﬂeece fabric, running jerseys andwool-based innerwear. A 3/32 inch wide version of ActiveSeam® Comfort is called ActiveSeam® Slim which is suitable for hiking pants made with merino wool and apparel made with technical textiles having utilitarian applications. Although the two thread ActiveSeam® Comfort is suitable for all kinds of knitwear applications, the three thread version has much more aesthetic appeal due to the introduction of a third thread. The top thread conceals the second thread beneath it when the seam is relaxed and reveals it when the seam is stretched. The third thread is on the inside of the seam and bounds the other two top threads together. Fabric is butted, not lapped nor bunched together, giving a ﬂat, non- bulky and comfortable seam. “The possibilities are endless with such a seam structure as not only can you use different colour threads for enhancing the look of the seam, but also use threads of different properties, makes, structure and thickness for varied applications,” asserts Charlie. The seams have been certiﬁed by third-party testing agencies as having 30% more strength across their width and 100% more stretch across their length, when compared to a regular ﬂatlock (4 needles, 6 threads, ISO 607) sewn with like thread and fabric. and Nike. “For the ﬁrst time ever a machine supplier would be nominated by buyers and brands… We have reinvented the whole wheel,” adds an upbeat Charlie. At the upcoming Texprocess show in Atlanta, USA, Merrow will display its range of ActiveSeam® machines for heavy duty applications, completing its range for all knit applications. The machine is not applicable for woven products. The company has setup a development centre in the USA called the Stitch Lab®, to which people can send their product and fabric samples for unravelling the possibilities with ActiveSeam®. The same service will be offered by the company for interested customers in Bangladesh and India through its trade partner Anil Anand, MD, HCA. “The manufacturers need to understand that we are not selling them automated machines which guarantee enhanced productivity and lower the requirement in manpower. What we offer is based on the core fundamentals of product development and both manufacturers and brands are able to modify, update, and create new patterns and products,” adds Charlie, emphasising that product development is the essence of any bleeding edge apparel manufacturer.